At the law offices of Elan Wurtzel, we understand that divorce can be a sensitive and challenging time. That is why we offer compassionate legal services aimed at helping our clients through the process of divorce. For over 30 years, we have served Suffolk County, NY, Nassau County, NY, Brooklyn, NY, and the surrounding areas with diligence and integrity. We are focused on ensuring your best interests are fully represented throughout the divorce proceedings. All our clients receive a pro-active, high caliber service that empowers in and out of the courtroom. We will always explain as well as offer expert advice, giving you all the information you need to make decisions that are right for your circumstances. When you need an assertive divorce lawyer in Long Island to help you through challenging marital and familial legal concerns, you can depend on us. We handle cases involving child custody, child support, division of property, alimony, divorce, and prenuptial agreements. With decades of experience in this practice area, you can be assured of competent representation for your case. Take the first step in resolving your marital separation with success. Speak to a divorce attorney about your case today and get the legal assistance you and your family deserve. You can start over with the expert legal assistance your case deserves. Schedule a consultation with an attorney who will put your case first. Contact The Law Offices of Elan Wurtzel by calling 1(516) 822-7866. We are proud to serve all areas of New York including Suffolk County, NY, Nassau County, NY, and Brooklyn, NY. The aggressive legal representation you deserve is only a phone call away. Schedule a FREE consultation and review today. What Is Mediation In Divorce Cases? Mediation is an alternative to litigation for resolving a variety of legal disputes. It is often used when a couple is divorcing. The process utilizes a neutral third-party who oversees the process and helps a couple reach a mutually agreeable settlement. Unlike a judge, a mediator has no final say over the settlement, but is there to encourage respectful communication, help a couple explore their options, and keep the process focused on the best possible outcome. Control of the process and the outcome: Either of the divorcing spouses can end the mediation at any time, and it is only considered successful when both find the resolutions mutually satisfactory. Privacy: Mediation proceedings are confidential, unlike litigation where proceedings are open to the public and become a matter of public record. Efficiency: Mediation saves time and money. It’s possible to reach a resolution in mediation in as little as a few hours. Couples take on a great deal of responsibility in mediation, which also reduces the cost of divorcing. According to the American Bar Association, mediated divorces are generally 40% to 60% lower than divorce litigation. Welfare of the children: Witnessing a litigated divorce that stretches on and involves a great deal of contention can create lasting damage for a child. Mediation is an opportunity to show a child that it’s possible for his or her parents to work together toward a common goal, even if they will no longer be living as a married family. Many families also report it is easier to share parenting responsibilities post-divorce when there is no left-over animosity from the divorce proceedings. Mediation is a valuable tool for divorcing couples and a skilled mediator can help even the most combative couples reach a mutually satisfactory resolution. In spite of mediation’s many benefits, it isn’t right for every couple. The process is not recommended for divorces in which domestic violence was an issue and some of the benefits of mediation, including confidentiality, are not an option when an incident of domestic violence arises. If you have questions about divorce mediation or you’d like to know if it could help you resolve your divorce in a more respectful and civil manner, we can help. For more information, contact us here or call us at (516)822-7866. 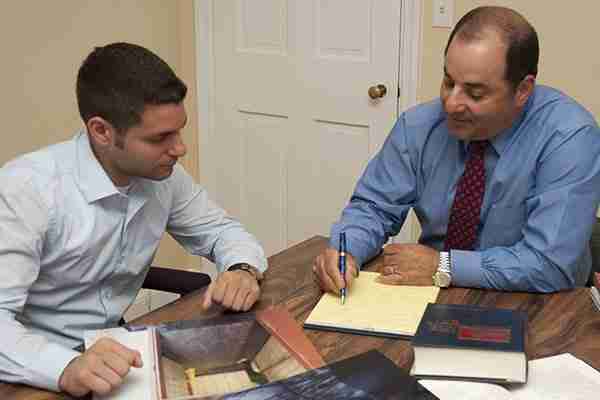 Let us be your divorce lawyer in Long Island. Marriage creates a co-mingling of assets, both literally and legally. However, certain assets remain the property of the individual spouse and are not included in the asset distribution process that takes place if and when a marriage ends. What determines whether property remains separate or is included in the equitable distribution plan in a divorce assets division? Anything obtained during the marriage is marital property, with a few exceptions. 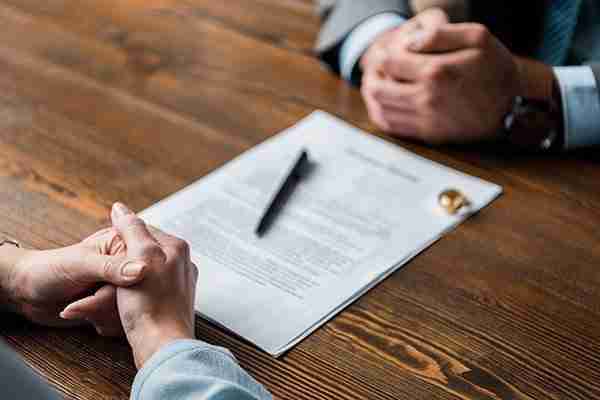 The property obtained during the marriage becomes part of the marital estate, unless a prenuptial or post-nuptial agreement excludes it from the estate. Real property purchased during the course of the marriage, except for items purchased with contributions from separate property. For instance, if money you had prior to your marriage is used to make a down payment on a home, you might be able to argue that portion of the home’s value is separate property. Property within the marital state is subject to equitable (fair) distribution. New York has not always been an equitable distribution state and it wasn’t until 1980 the courts enacted Domestic Relations Law section 236 part B, implementing equitable distribution as the means by which property is distributed in a divorce. The law eliminated financial inequities by distributing marital assets without regard to title, thereby embracing the modern concept of marriage as an economic partnership and allowing spouses to receive a share of the marital assets based on their contributions as a homemaker. If you have questions about the difference between separate and marital property, or you want to ensure assets are protected after you file for divorce, fill out the contact form at the bottom of this page. Can a Separate Property Asset Change into a Marital Asset? Separate property is the property owned by each spouse when they marry, as well as the property each receives via gift, inheritance, or personal injury settlement during the marriage. With a few exceptions, marital property is that which is accumulated during the marriage. Unless a pre-nuptial or post-nuptial agreement dictates otherwise, marital assets are divided equitably between spouses when and if they divorce. A good example of separate property becoming marital property is the asset of a home. If one spouse owns a home prior to a marriage, but the other spouse spends the majority of the marriage managing the home and contributing to improvements, the court could determine the asset increased in value due to active appreciation. The house itself, assuming it was never transferred into joint ownership, will remain separate property, but the non-owner spouse could argue he or she has contributed to the home’s increase in value. In some cases, the courts will take into account the value and equity in the home prior to the marriage when determining how to handle its distribution. While the original value of the home will remain separate property, the appreciation could be considered a marital asset distributed in a divorce. For many divorcing couples, the appreciation of their home can have significant value. Bank accounts that were originally separate and transferred into joint ownership can transform a separate property asset into a marital asset. This legal transformation may possibly be avoided if meticulous records are kept showing the original source of the money and it remains intact, or possibly if once can show that the new account was set up for “convenience purposes.” Another way to protect such accounts is to have a Pre-Nuptial Agreement which identifies assets of these type as separate property not to be distributed in a divorce. One of the most common concerns that arises in a divorce is whether one spouse can alter asset ownership once divorce proceedings have begun. An Automatic Temporary Restraining Orders (ATRO) prevents either spouse from selling, transferring, or borrowing against property, borrowing or selling insurance held for the other spouse, modifying beneficiaries on policies, changing bank accounts, and destroying or hiding assets. Such Automatic Orders are triggered by the commencement of a divorce action and service of the Summons on a spouse. For more information about the protections provided by an ATRO, check out this article from Forbes.com. Asset distribution in a divorce is complex and can be the catalyst for many arguments. If you are concerned about the distribution of your assets or you have questions about how New York’s equitable distribution laws will affect your case, contact the Law Offices of Elan Wurtzel by calling 516.822.7866. What Property & Others Assets Are Distributed In A Divorce? New York is an equitable distribution state, but that doesn’t mean property shared during a marriage is distributed equally (though it might be). According to Cornell University Law School, equitable distribution is the legal principle by which assets and earnings acquired during marriage are divided equitably (fairly) at divorce. It takes into consideration what each spouse contributed to the marriage and what each will need as he or she begins a new life. You should consult a divorce lawyer in Long Island to ensure that a divorce with assets is handled fairly. Dividing property is not only complex, it can be contentious. It’s one of the primary reasons divorcing couples are unable to come to terms without court interference. If you are concerned about protecting your property during a divorce or you have questions about the equitable distribution of property, we can help. Let us be your divorce lawyer in Long Island. We know that going through a divorce can be an extremely difficult process. Our goal is to make sure a fair outcome is obtained. You can count on us to be your dedicated divorce lawyer in Long Island. Contact The Law Offices of Elan Wurtzel today to get started with a free consultation!